Anti-Dakota Access Pipeline activists gained a huge victory on Sunday when the Army Corps Engineer announced a halt to construction of the pipeline near the standing rock reservation in North Dakota. 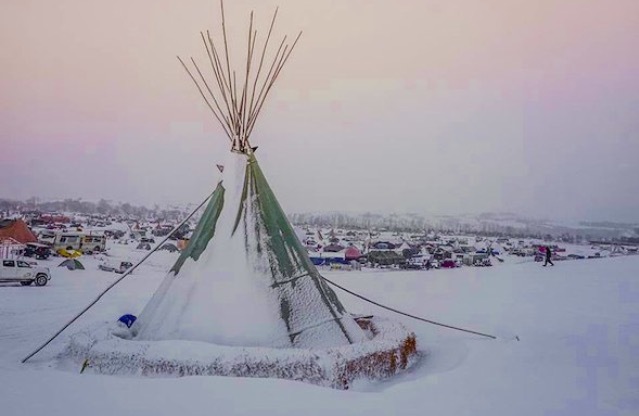 Since then, the camps of the water protectors’ numbers have grown to a rumored 10,000-15,000 and were joined by 2,000 army veterans on the Dec. 3. 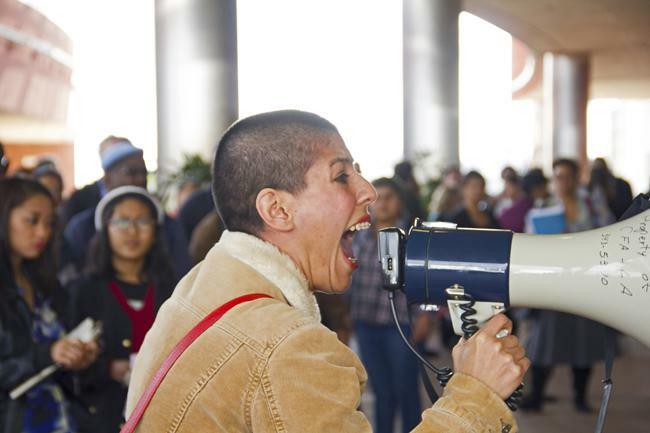 Gabrielle Hudspeth and Irene Montantes, members of an activist group called “Revolution LA” decided to join the protest effort a week before the Army Corps Engineer announced that they will not issue permits necessary for the pipeline to continue construction. Both activists, Hudspeth and Montantes, described their experience at Standing Rock as life changing. Montantes, who is half Native American herself, compared the protest to the ones led by Martin Luther King Jr. in the sixties. 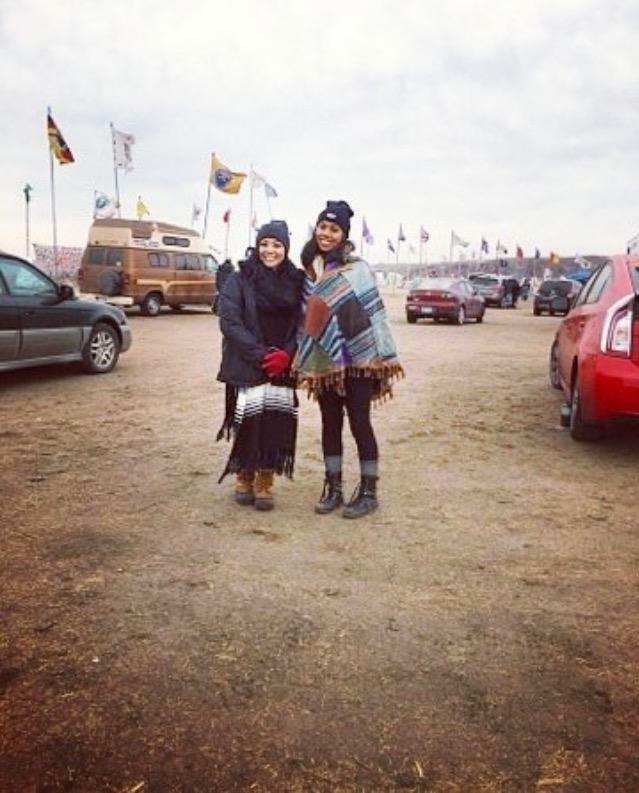 Gabrielle Hudspeth and Irene Montantes at the Oceti Sakowin Camp. Photo Credit, Irene Montantes Instagram. 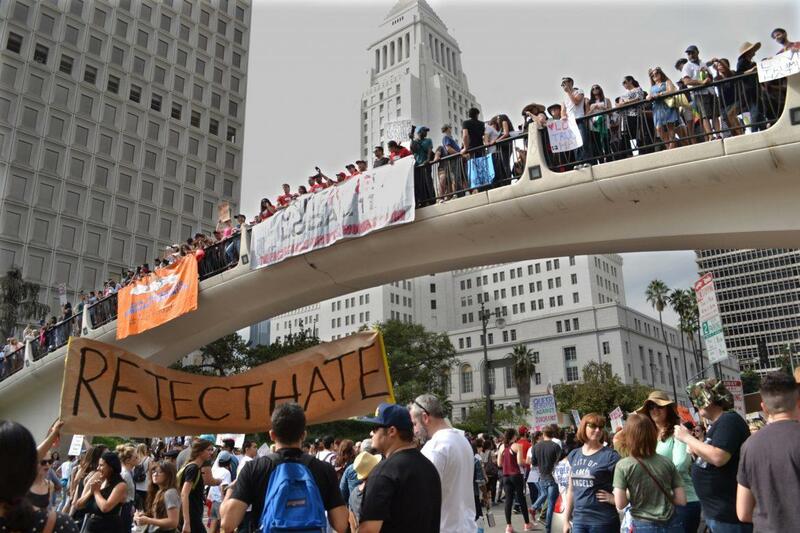 Montantes went on to describe a moment between activists and law enforcement which eventually concluded with hundreds of women coming together, chanting a prayer in front of police barricades. According to Montantes and Hudspeth, there were rumors around the camps that law enforcement was targeting women, so as to provoke activists into becoming violent. However, Montantes and Hudspeth said the activists were highly organized and well composed. The camps had orientation for newly arrived activists, a donation and medical center, kitchens, and lawyers standing by to inform activists about how best to respond to law enforcement. For Hudspeth, the experience was also life changing. She said that despite the freezing temperatures, her spirits were lifted by the organized and caring nature of the camp leaders. 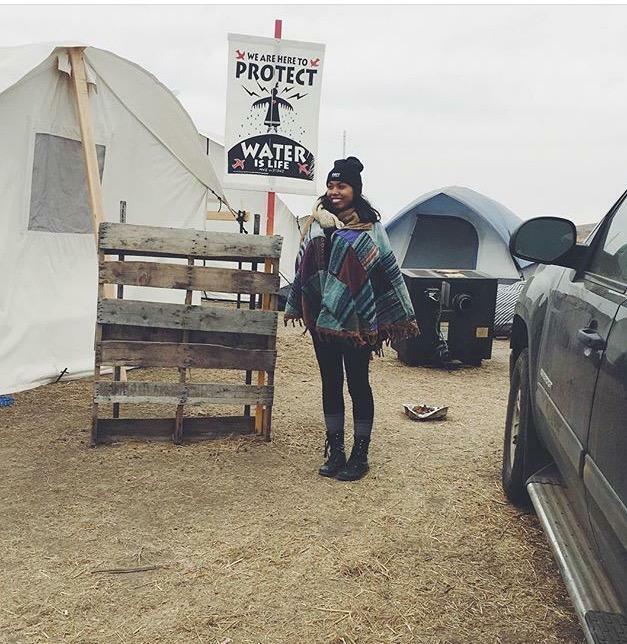 Gabrielle Hudspeth at the Oceti Sakowin Camp in North Dakota. Photo Credit, Gabrielle Hudspeth Instagram. However, one aspect which seemed to bother Hudspeth about the protest were the amount of non-indigenous protesters who she described as being well-intentioned but were, as she puts it, enacting a mini-colonization on a micro level. According to Hudspeth, some protesters were not respecting how the original water protectors were running the camps, whether it was complaining about the food or not fully embracing the Sioux Tribe’s customs. 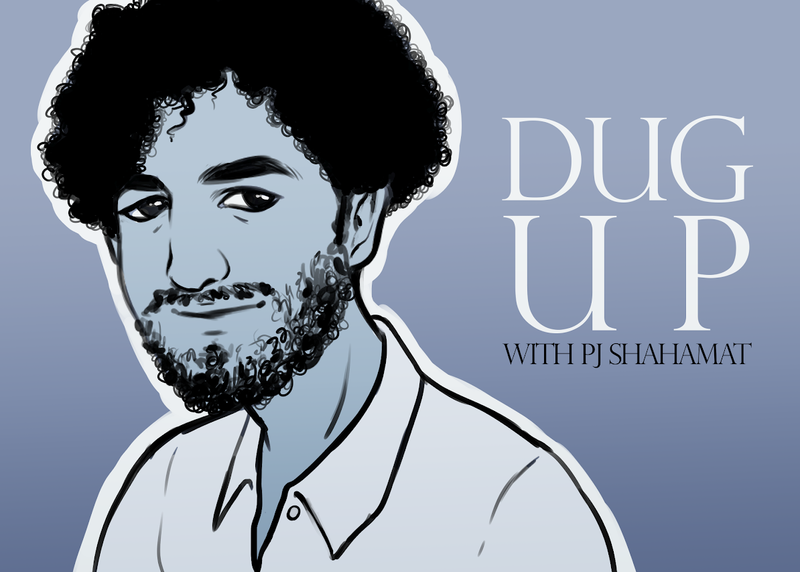 “There’s definitely this vibe among some people who think it’s like burning man and forget that there are people here, risking their lives. They seemed to forget that it’s not a music festival,” she said. 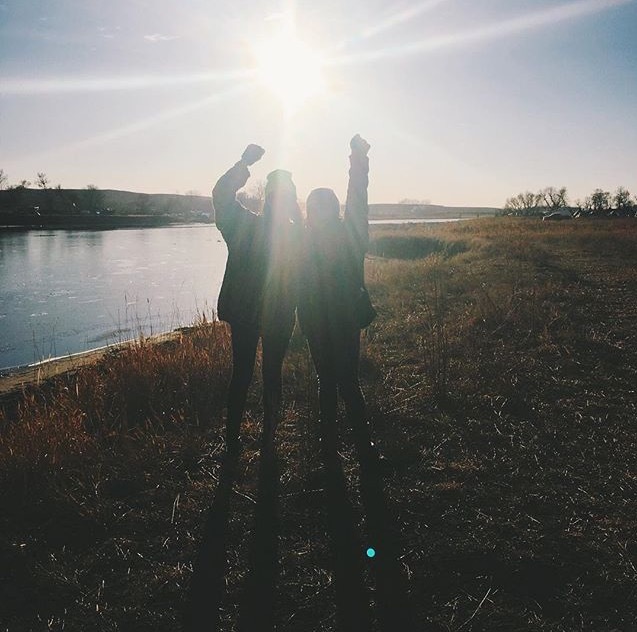 While the final fate of the pipeline is yet to be known, it is safe to say that the announcement made by the Army Corps of Engineers represents a big victory for the water protectors and the Sioux Tribe.